The Goods To Anti-estrogen Fertility Inducer, The Objects In Dysfunctional Uterine Bleeding, Polycystic Ovary, Menstrual Disorders And Drug-induced Amenorrhea And Other Gynecologic Diseases;It Is Used As A First Line Defense Against Breast Cancer. 5. Usage: the goods to anti-estrogen fertility inducer, the objects in dysfunctional uterine bleeding, polycystic ovary, menstrual disorders and drug-induced amenorrhea and other gynecologic diseases;It is used as a first line defense against breast cancer. It has been established that breast cancer is responsible for more than 13% of all deaths in women when it comes to different types of cancer. It is therefore a condition that needs to be battled against with all means necessary. Of course, the best way to treat breast cancer is to prevent it by regular checkups that can even be done at home, by checking the breast tissue for any unusual lumps or growths. The good news is that if breast cancer is noticed in the early stages, the survival rate is very high. In some cases, surgery is required, but in the majority of cases, the medications will do the trick. One of the drugs most commonly used in treating breast cancer is Nolvadex, a drug that is metabolized into hydroxytamoxifen which prevents the action of estrogen that is most commonly responsible for the growth of breast cancer. The way in which Nolvadex works could be best described as a broken key. Namely, this medication, or more precisely, its metabolite binds to the estrogen receptors in cancer cells, thus preventing anything else (estrogen) from binding to the receptors. This way, Nolvadex prevents the growth of cancer and helps in treating it. Due to its effect on estrogen receptors, there are other uses for Nolvadex, such as in treating infertility in female patients who are suffering from anovulatory disorders. Another condition that can be treated by Nolvadex is gynecomastia, as well as a rare condition known as retroperitoneal fibrosis. Some other properties of Nolvadex make it a useful tool in treating manic episodes in patients suffering from bipolar disorder and it is also being tried for preventing angiogenesis. This drug is used as a first line defense against breast cancer. In the late 80s, Dan Duchaine speculated that it could also be used by bodybuilders to halt the development of another type of tumor in the mammary gland, Gynocomastia. He introduced this find to the Steroid-using-community in his "Contest Prep" issue of the Underground Steroid Handbook Update Newsletters (the contest prep-issue was actually 3 issues in one, for those who had a subscription to the newsletter). Nolvadex is commonly referred to in quite a few ways: as a SERM (Selective Estrogen Receptor Modulator), as an anti-estrogen (that is actually incorrect, as we will later see), and finally as a triphenylethylene. I happen to stick with calling Nolvadex a SERM, because out of my three options, it happens to be correct (as we know that calling it an anti-estrogen is incorrect), and pronounceable (as we know that I have no idea how to say "triphenylethylene"). Selective estrogen receptor modulators (SERMs) act as either estrogen receptor agonists or antagonists in a tissue-selective manner, lets see what that means to us. 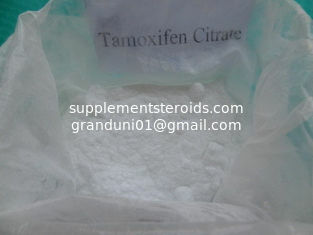 Nolvadex actually has quite a few applications for the steroid using athlete. First and foremost, its most common use is for the prevention of gynocomastia. Nolvadex does this by actually competing for the receptor site in breast tissue, and binding to it. 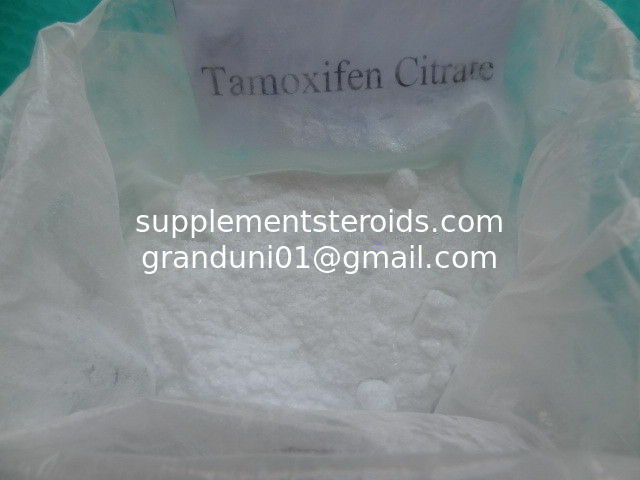 Thus, we can safely say that the effect of tamoxifen is through estrogen receptor blockade of breast tissue (1), especially since total body estradiol increases with use of tamoxifen. Clearly, if you are on a cycle which includes steroids which convert to estrogen, you may want to consider nolvadex as a good choice to run along side them. Our company is a professional production leading factory in China in pharmaceutical area of many years,our products have exported to USA,Greece, Spain, UK, Australia and other countries, and we have got very good feedback from our customers, we had established a long friendly relations.